From ancient hideouts to Cold War-era bunkers, explore eight astonishing settlements beneath the earth’s surface. The volcanic rock landscape of Turkey’s Cappadocia region is pockmarked with several different underground cities, but perhaps none is as vast or as impressive as Derinkuyu. 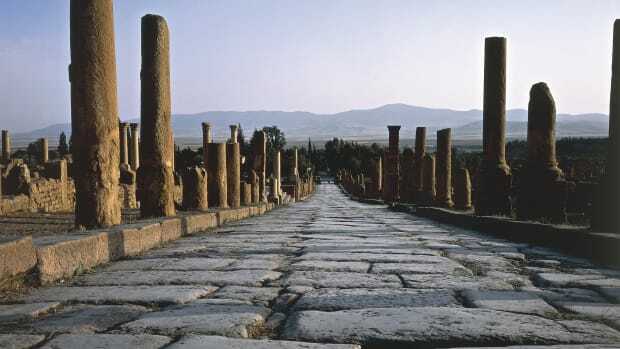 This labyrinthine complex dates to around the 8th century B.C. and was most likely built to serve as a refuge during periods of war and invasion. With this in mind, its 18-story interior was a self-contained metropolis that included ventilation shafts, wells, kitchens, schoolrooms, oil presses, a bathhouse, a winery and living space for some 20,000 people. When threatened by attack, each level of the city could be sealed off behind a collection of monolithic stone doors. 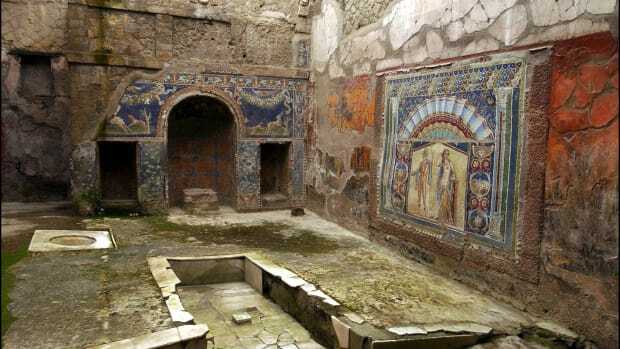 Historians believe that the Hittites or the Phrygians were among Derinkuyu’s earliest builders, but it was later occupied and expanded by a host of other groups including Byzantine-era Christians, who left behind a collection of underground frescoes and chapels. Despite its long history, the city wasn’t rediscovered until the 1960s, when a local man stumbled upon some its tunnels while renovating his home. 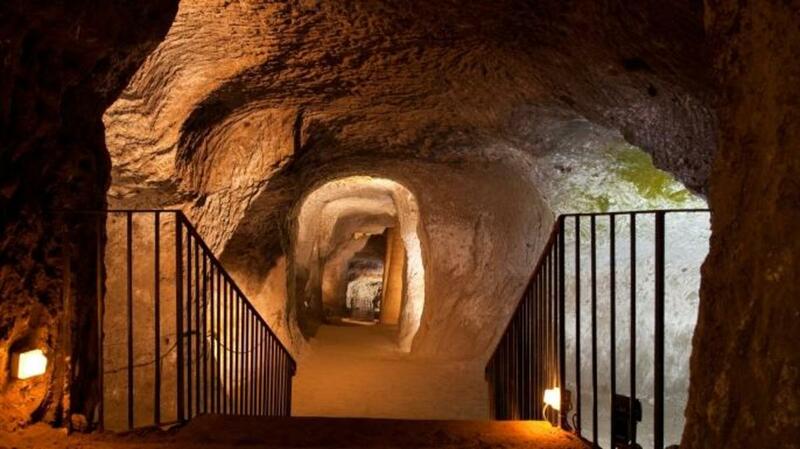 Located in northern France, the underground city of Naours includes two miles of tunnels and more than 300 man-made rooms—all of them hidden some 100 feet beneath a forested plateau. The site began its life around the third century A.D. as part of a Roman quarry, but it was later expanded into a subterranean village after locals began using it as a hiding place during the wars and invasions of the Middle Ages. At its peak, it had enough room for 3,000 inhabitants and included its own chapels, stables, wells and bakeries. 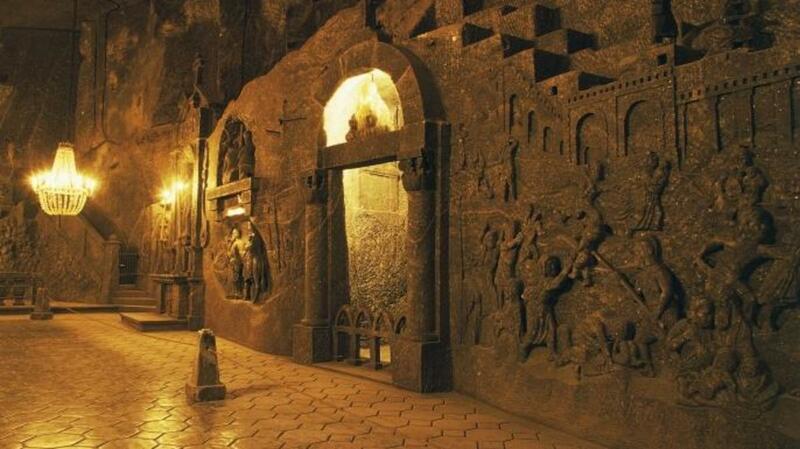 The Naours caves were later sealed off for decades before being reopened in the 19th century as a tourist attraction. They became a popular sightseeing spot during World War I, and modern visitors can still see more than 2,000 pieces of graffiti left behind by Allied soldiers, many of whom fought nearby at the Battle of the Somme. Also known as the “Underground Salt Cathedral,” Poland’s Wieliczka Salt Mine is a massive subterranean complex of rooms, passageways and statues located on the outskirts of Krakow. The site dates to the 1200s, when miners first descended beneath the earth’s surface to find rock salt. In the centuries that followed, they slowly carved the mine into a warren of galleries and tunnels that extended more than 1,000 feet underground. When they weren’t digging for “white gold,” the workers also used the mine’s salt crystal deposits to build a stunning collection of chapels, chandeliers, statues and bas reliefs, including a detailed replica of Da Vinci’s “The Last Supper.” The Wieliczka mine stopped producing salt in 2007 after some 700 years in operation, but it remains a popular tourist attraction in Poland. It’s also home to a health spa that touts the therapeutic properties of the mine’s salt-rich microclimate. In the 12th century A.D., a devout king ordered the construction of 11 eye-catching Christian churches in the Ethiopian village of Lalibela. 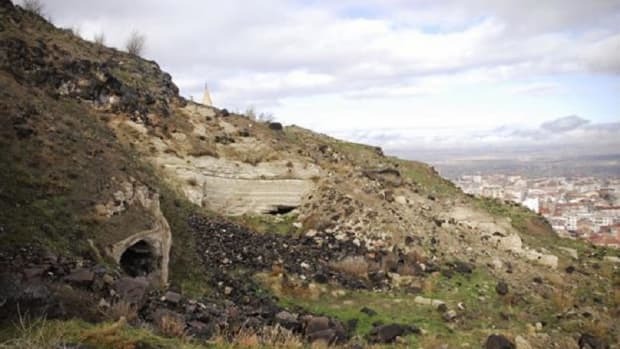 This “New Jerusalem” is notable for having been fashioned from the top down: all of its churches were hewn from volcanic rock below the earth’s surface then hollowed out, giving them the appearance of having grown directly out of the ground. The most iconic building is the cross-shaped Church of Saint George, which was cut from a monolithic slice of stone inside a trench 100 feet deep. It was then connected to the rest of the complex via a network of underground passageways, hidden caves and catacombs. 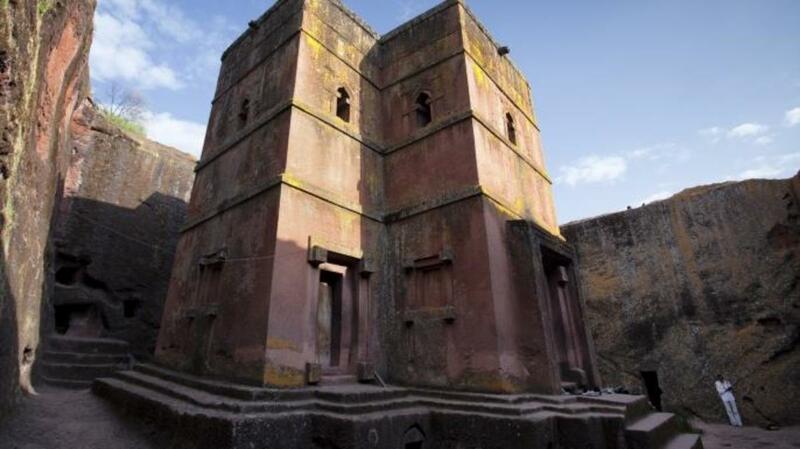 Legend has it that the construction of Lalibela took just 24 years, but many historians believe it was actually completed in phases over several centuries. The village is now considered a sacred site for the Ethiopian Orthodox Church, and its subterranean places of worship continue to draw as many as 100,000 pilgrims each year. In the 1960s and 70s, as the threat of nuclear war loomed, the Chinese government ordered the construction of a mammoth fallout shelter beneath their capital of Beijing. Also known as Dixia Cheng, the hand-dug site was supposedly capable of safeguarding around one million people for up to four months. It consisted of fallout-proofed rooms and tunnels that snaked their way underground over an area of several dozen square miles. Certain passageways were reportedly large enough for tanks to pass through, while other housed purpose-built schools, hospitals, granaries and restaurants. There was even a skating rink and a 1,000-seat movie theater. 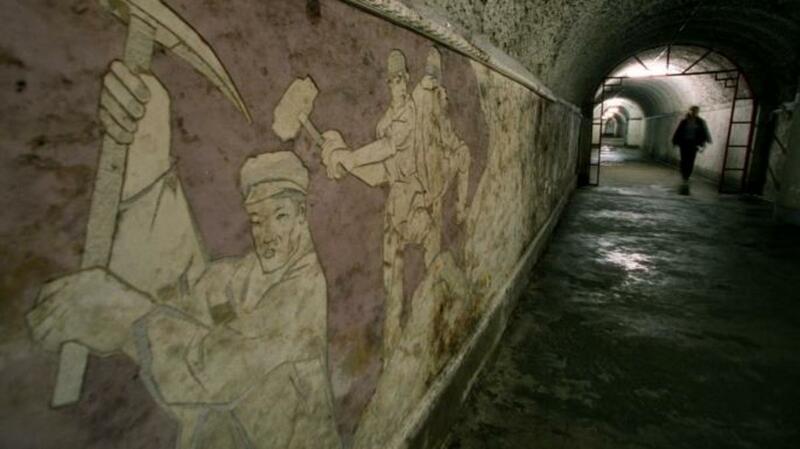 While the Beijing bunker was never put to use, its decaying tunnels still exist today, hidden beneath the city’s homes and businesses. 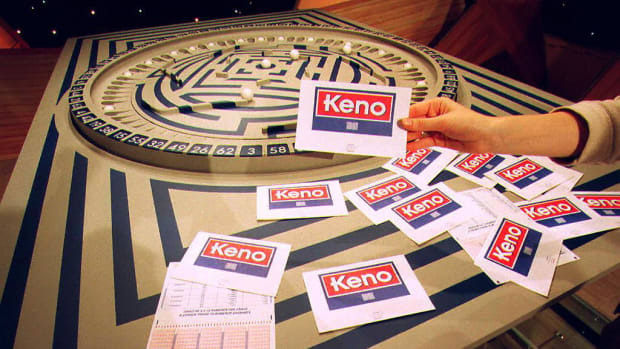 Most are sealed off, but they were briefly opened as a tourist attraction in the early 2000s. 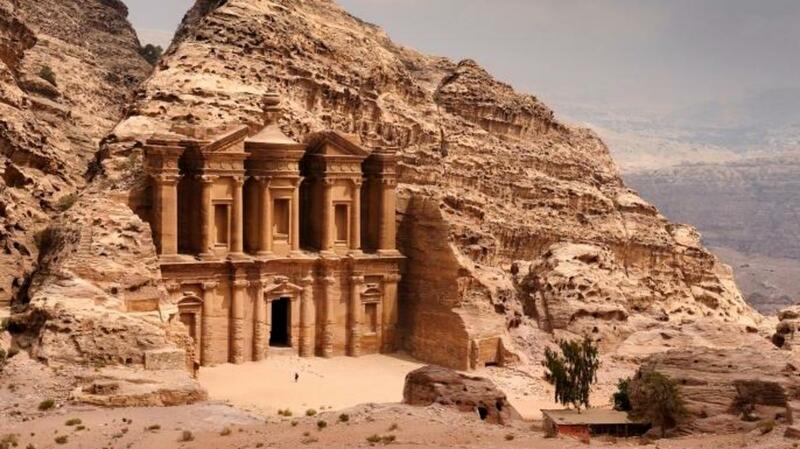 Famed for its cameo in the film “Indiana Jones and the Last Crusade,” Petra is an ancient caravan city tucked away in the mountains of southern Jordan. 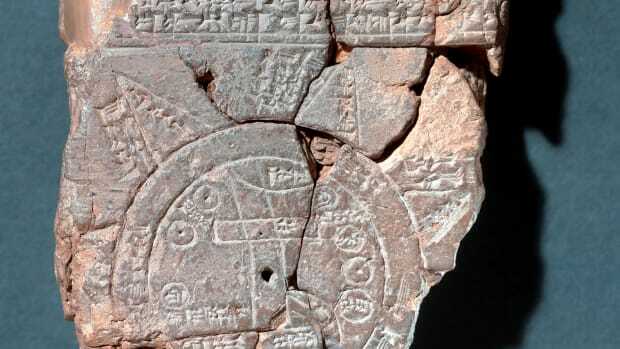 The site has been inhabited since prehistory, but it reached its peak some 2,000 years ago, when the ancient Nabataeans hand-chiseled the surrounding sandstone hillsides into a dazzling collection of tombs, banquet halls and temples. One of the most exquisite edifices is Al Khazneh, or “the Treasury,” which includes an ornamental façade that extends 130 feet up a rock face. Petra may have been home to 20,000 people at its height, but it was later abandoned sometime around the seventh century A.D. and wasn’t known to Europeans until the 1800s. Excavations at the site are still ongoing today, and it’s believed that the vast majority of its ruins may still lurk underground. The Italian hilltop town of Orvieto is known for its white wines and picturesque architecture, but its most mysterious wonders lie underground. Beginning with the ancient Etruscans, generations of locals burrowed their way deep into the volcanic rock bluff on which the city was originally built. The subterranean maze was first carved to build wells and cisterns, but over the centuries it grew to include more than 1,200 interlocking tunnels, grottoes, and galleries. Some chambers include the remnants of Etruscan-era sanctuaries and medieval olive presses, while others show signs of having been used as storage places for wine or roosts for pigeons—a common local delicacy. 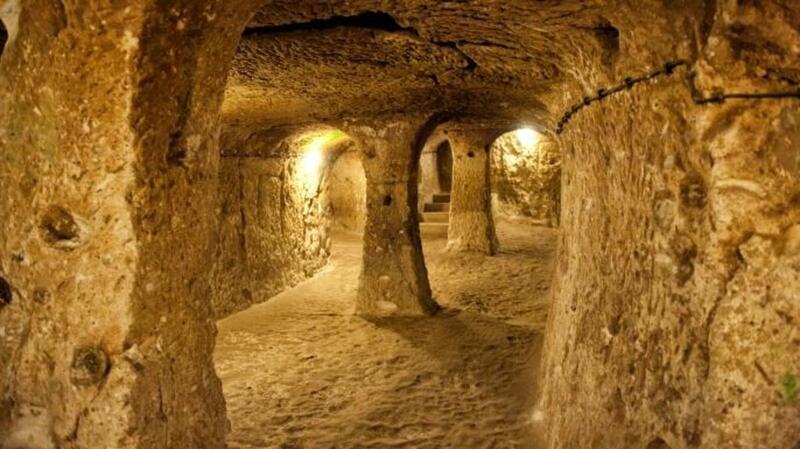 Orvieto’s underground city was also frequently employed as a hiding place during times of strife. As recently as World War II, people were still using certain sections as bomb shelters. 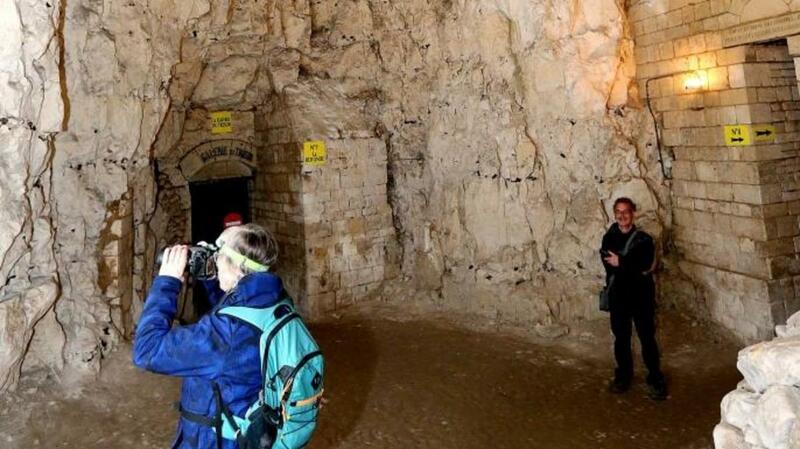 In the event of a Cold War-era nuclear strike, the most important members of the British government would have retreated to a 35-acre underground complex located 100 feet beneath the village of Corsham. This “Burlington Bunker,” as it was codenamed, was first built in the 1950s from a series of existing tunnels and stone quarries. 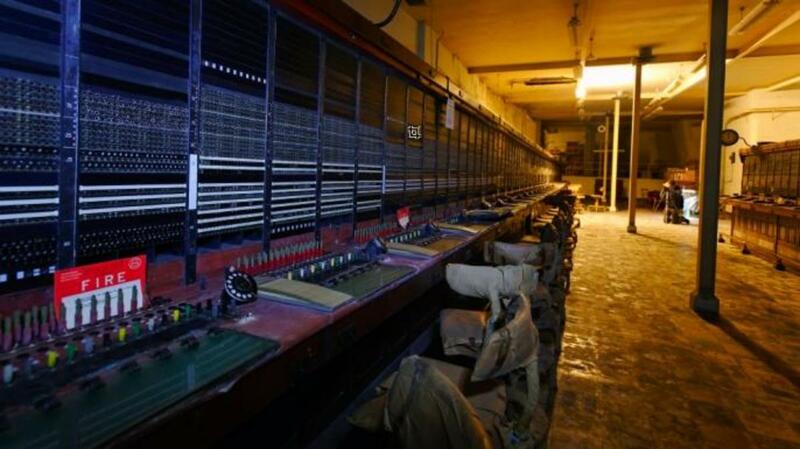 It contained office spaces, cafeterias, a telephone exchange, medical facilities and sleeping quarters—all of it designed to keep the British Prime Minister and some 4,000 other key government personnel alive during an emergency. 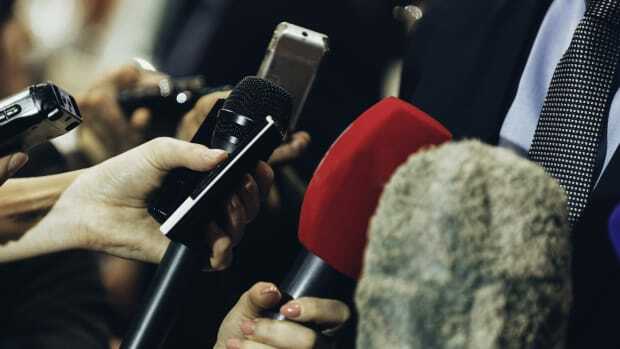 There was even an in-house BBC studio that the PM could use to address the public. While never put into active use, the Burlington facility remained partially operational until 2004, when it was finally decommissioned and declassified.